On a day to day basis The Deluxe Group work with Quantity Surveyors, Architects, Contract Managers and end users to deliver costs and interpret requirements that works for all. The Deluxe Group’s client facing team are expert in managing expectations, resources and timescales. The company design detail and produce tailored joinery, FF&E and cabinetry in a range of high grade materials and specialist finishes, selected by interior designers for their aesthetic appearance, durability and affinity with style and tone of the project. Value engineering is one of the most over used terms in interior fit out. At The Deluxe Group they have been practising this for many years, perfecting the method of value engineering. That is the art of not impacting on the architectural integrity of project but to deliver cost saving alternatives. Nowadays architects and interior designers spend a long time in delivering a design to find out the project is cost sensitive. At The Deluxe Group they know how to approach this process with professionalism, tact and perfect delivery. The company is a design focused bespoke joinery and interior specialist, skilled at translating and developing designs into inspiring completed work, this is due to having decades of experience working with exclusive designers, architects and private clients in the quest of superior craftmanship. 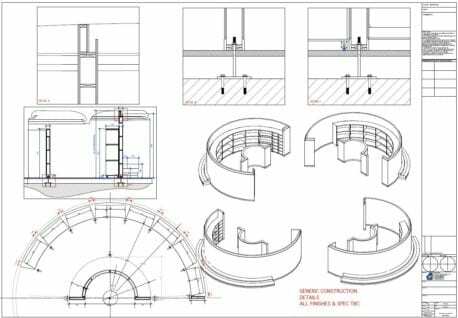 From site survey, the fabrication drawings are sent for approval, once signed off the drawings are marked construction and sent to manufacturing and then installed. The Project Manager and Design Manager work together to ensure all design details are adhered to deliver client satisfaction. 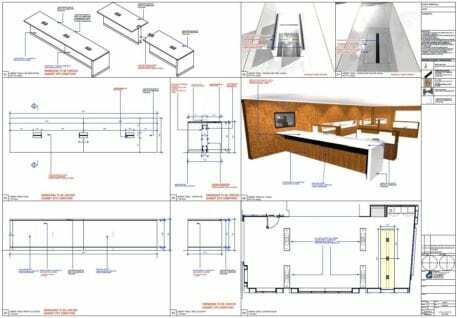 Once project costs are established by the in-house estimator department, the company furnish main contractor/client with detailed ‘bill-of-quantities’ – itemising every relevant nut-and-bolt as it appears in the final design. The Deluxe Group offer the unique service of manufacturing the majority of the job off site in a controlled environment which ensures a superior finish. After significant investment in 2016, a new 50,000 sq ft modern purpose built manufacturing facility equipped with the latest technology such as, 5 axis CNC, an automated spray facility and modern wrapping machines to ensure perfect delivery of architectural joinery to site. These are all complemented by our traditional joinery techniques as the team work with all materials such as glass, stone, solid surface and metal required. The result a faster turn-around on the project, and less on-site interruption to main contractor. Certified to ISO 9001 for quality management the company have traceability in all elements of manufacturing and the delivery process. The Deluxe Group is a global logistics interior company, with the capability to work anywhere in the world, and at record speed. Manufactured items leave our headquarters at 4pm and will be in central London at 8am the following day. This is possible because of our off-site manufacturing capabilities and our workforce of in-house skilled craftsmen and logistical planning. Professionalism is paramount, with health & safety and quality maintained to the highest of standards on every contract. All our site operatives are at least CSCS and SSMTS qualified and the company is ISO 18001 certified. The site management teams are renowned for a can do attitude and the company is proud of the repeat business track record they have earned with a multitude of clients over the years.